Our company has been successful in winning appreciation from the clients as one of the most prominent names in the trading of Bhringraj leaves. Bhringaraj is a creeping and moisture-loving herb. It has a short, flat or round stem and small white flowers on a long stalk. It grows 3" tall; the leaves are opposite and lance shaped. Our reputed entity is engaged in offering Bhringraj leaves. - People use Bhringraj Powder to prevent hair loss and discoloration to encourage hair growth and improve overall hair health. - Bhringraj Powder is an ayurvedic remedy for hair loss and premature graying. It makes hair dark, dense, and lustrous. 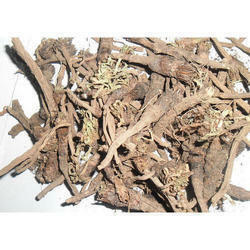 With the years of experience and vast knowledge, we are involved in dealing Bhringraj leaves. Eclipta abla is commonly called false daisy. Sanskrit name of Brhingraj are Bhringraja and Tekarajah and common Hindi names are Bhangra and Babri. Eclipta Alba (False Daisy) is a herb that has traditionally been used in Ayurvedic medicine for being a liver tonic (for which it is one of the more effective herbs apparently) and having beneficial effects on diabetes, eye health, and hair growth. Backed by rich industry experiences; we are highly engaged in offering a premium quality range of Bhringraj Leaves. We are a unique name in this industry to provide our prestigious clients an exclusive range of Bhringraj Leaves. We are one of the reliable companies in this domain and are into offering Bhringraj Plant (Vellai Karisalai). 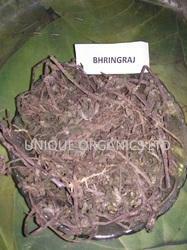 We offer our clients with Bhringraj leaves.